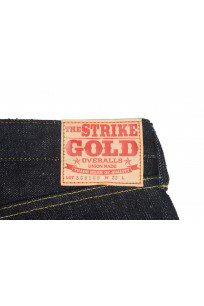 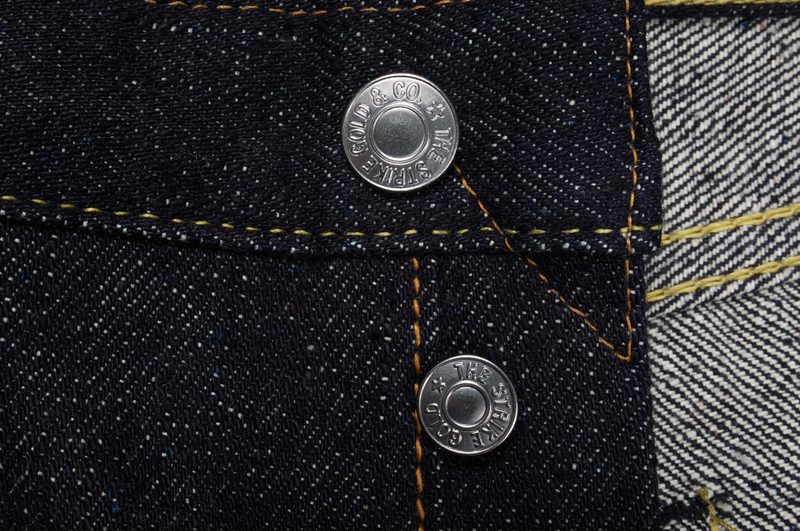 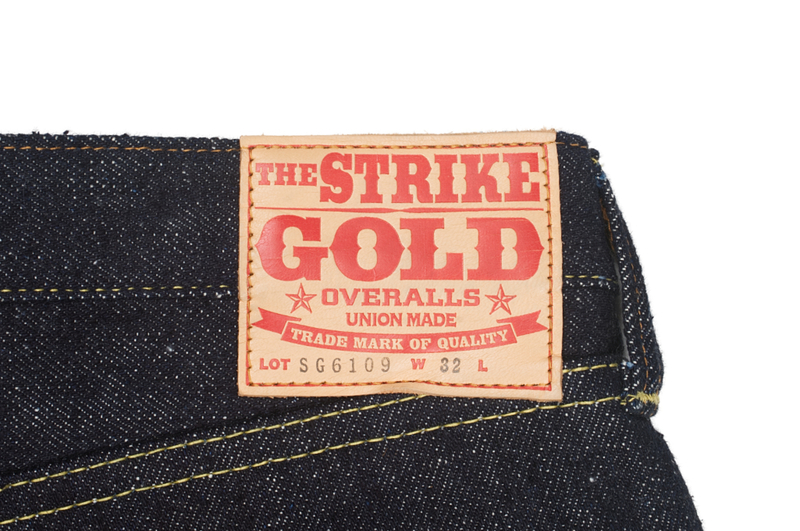 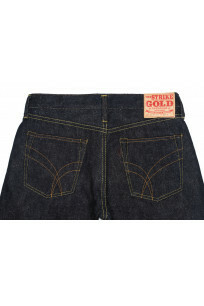 With the new 6109 (slim tapered) model Strike Gold have produced a 16.5oz unsanforized denim made of pure indigo warp threads and a natural weft thread. 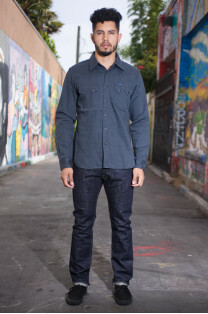 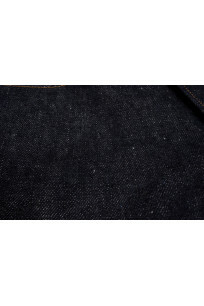 The denim is very interesting because they used a super short slub cotton to produce the denim. 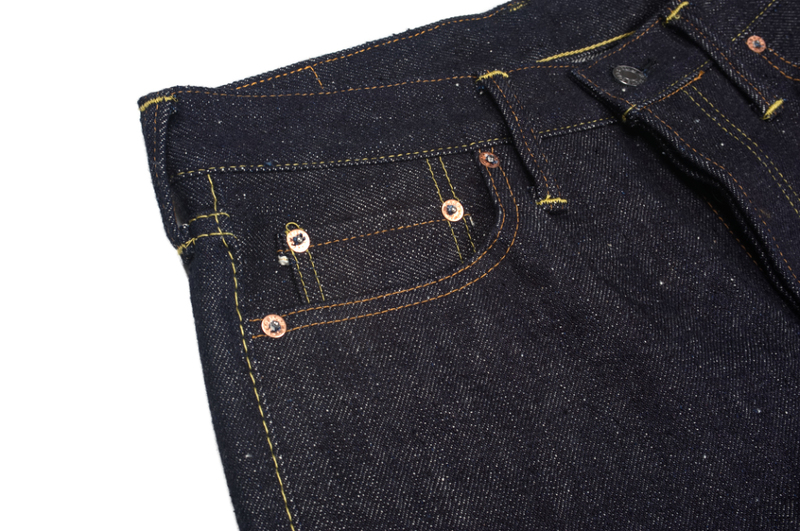 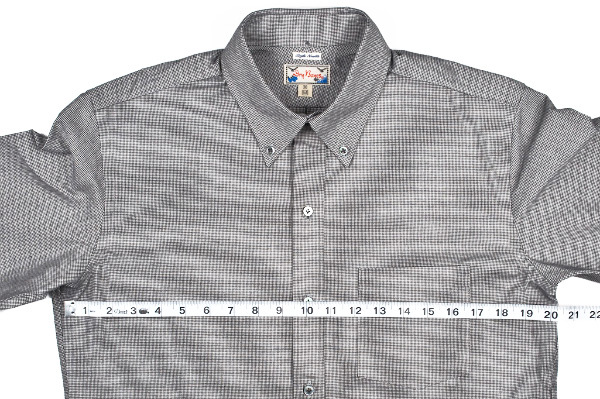 This is a cotton staple so short we believe it's shorter than the sugar cane fibers used in Sugar Cane's famed Okinawa and Hawaii jeans, except those use a slub sugarcane fiber in the warp and weft of the denim. 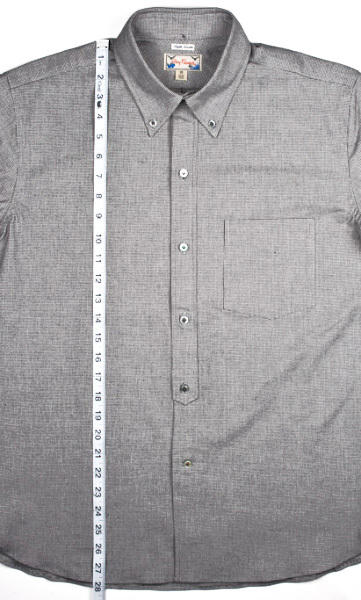 Using a cotton staple this short is tricky when producing a fabric that should be rugged and somewhat heavy in weight because the yarns need to be spun at a far slower pace and therefore increasing the risk of the shuttle yarn (aka, the weft thread) snapping far more often than it already does. 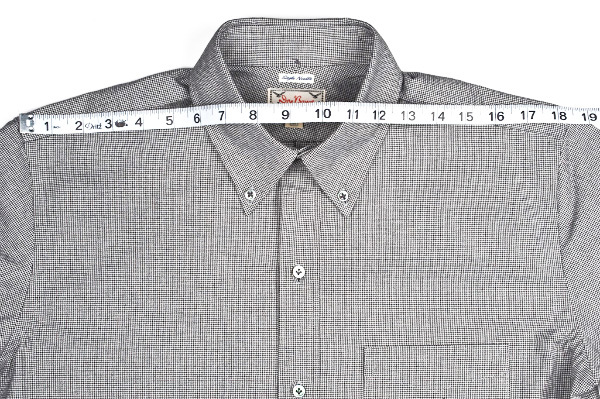 The slow spinning of the thread should not be confused with the tension or speed of a loom, spinning of yarns is a process which happens far before any loom is involved in making a fabric. 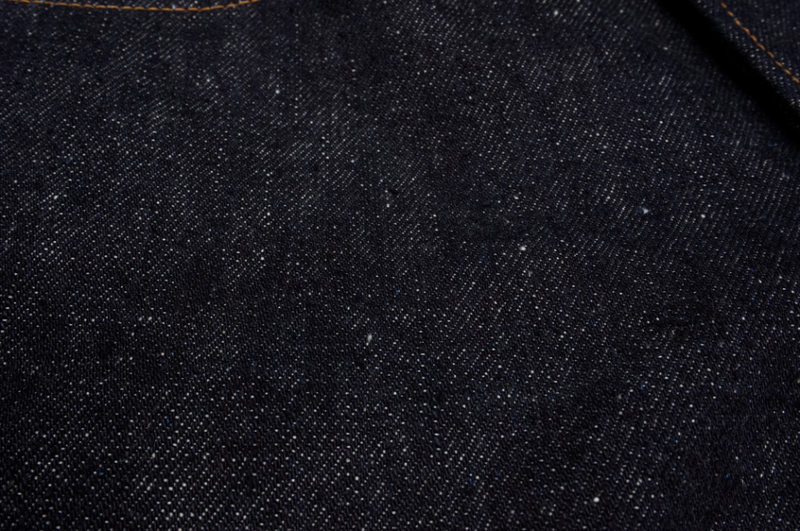 All this work results in a denim that looks like no denim we've seen before. 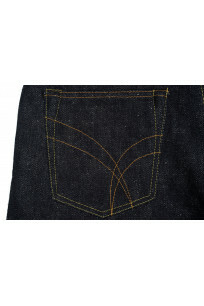 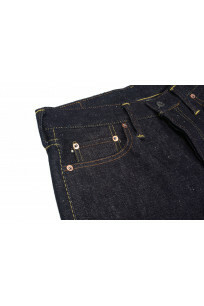 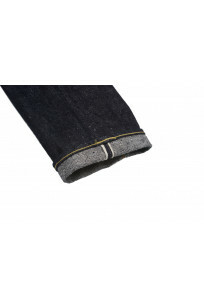 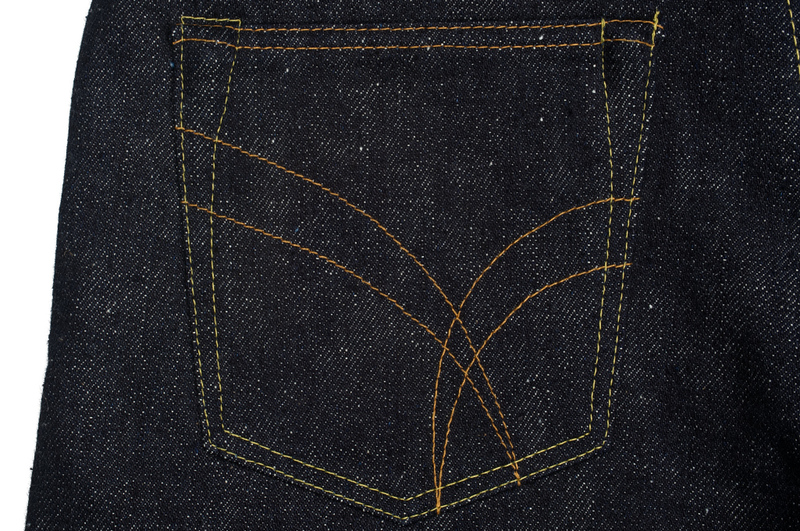 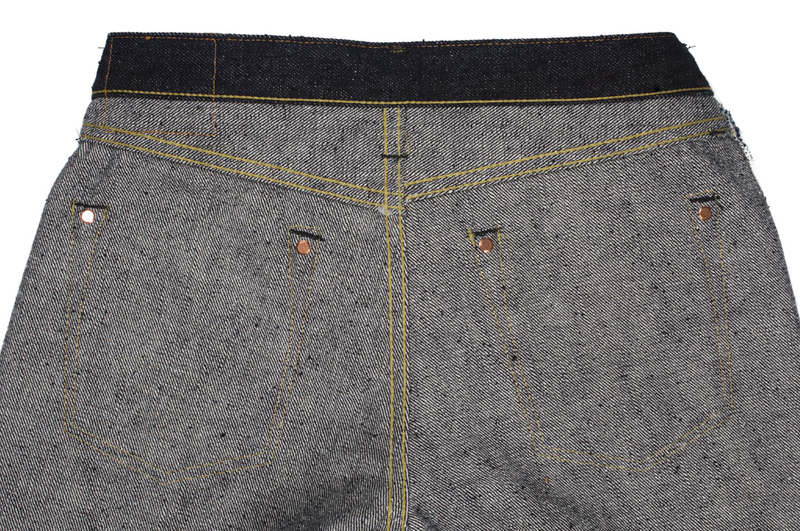 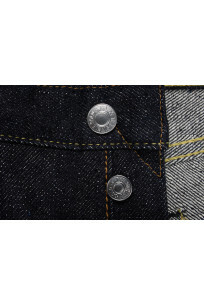 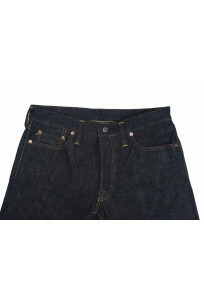 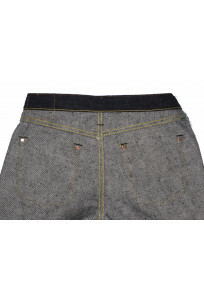 The process used gives the denim an extremely uneven texture, but not necessarily slubby looking. 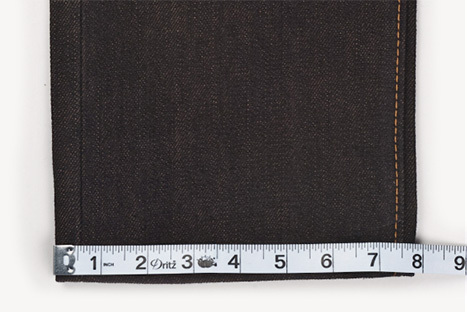 Our best description is that at a 45 degree angle it can be compared closely to a vintage hand-woven Persian rug, but not so much that most people wouldn't be able to tell much of a difference outside of the deeper color. 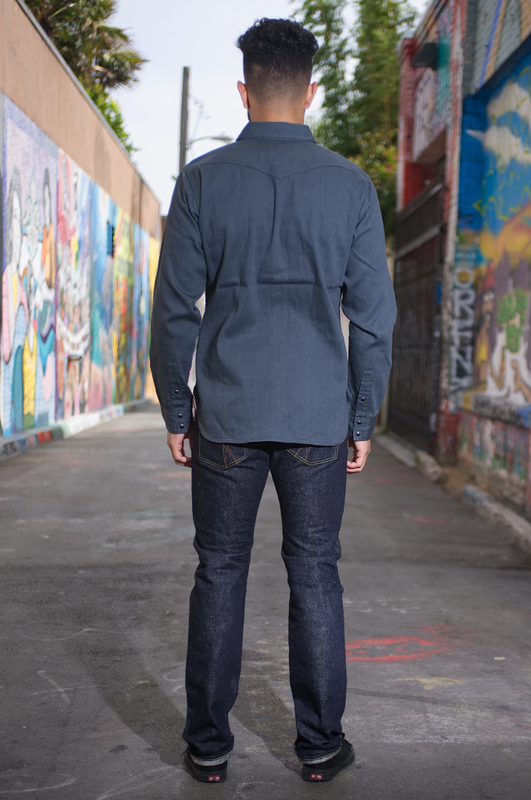 The jean looks like an indigo colored denim but has a deeper blue hue from the weft threads peaking through the indigo warp threads. 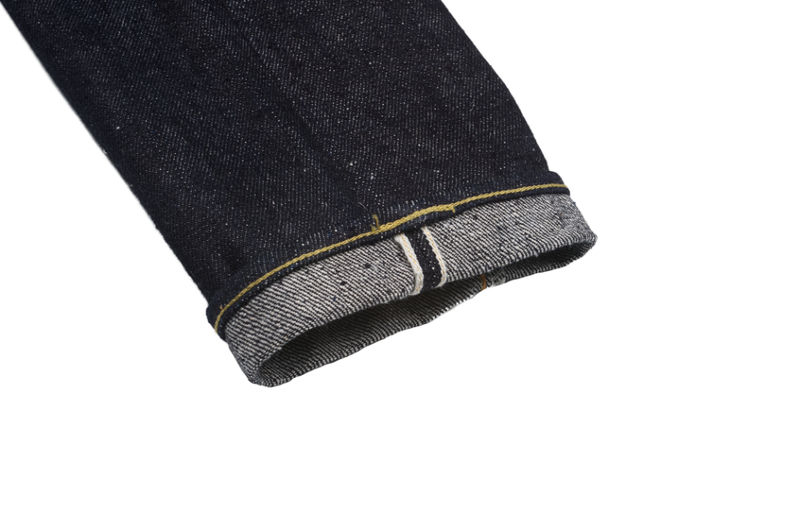 It's a jean like this which reminds us that we haven't seen it all, yet. 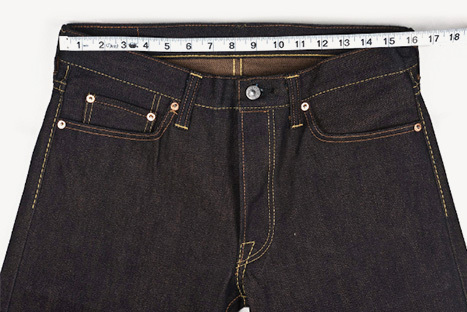 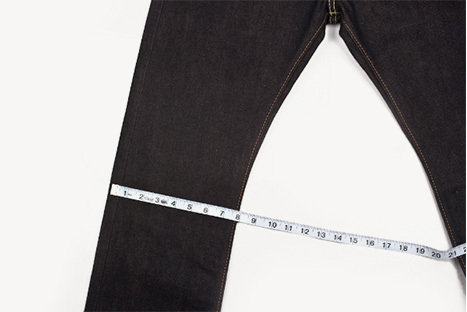 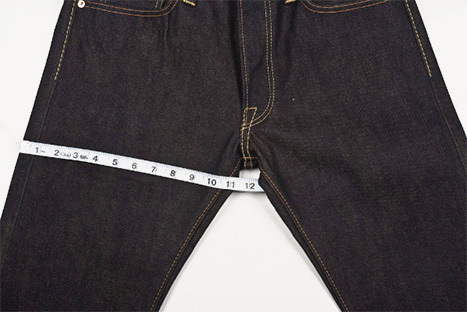 They've upped the weight to 16.5oz and it comes in loomstate form, due to the abrasive nature of the denim when raw the jean will age faster than most jeans and yield a high contrast fade with normal wear. 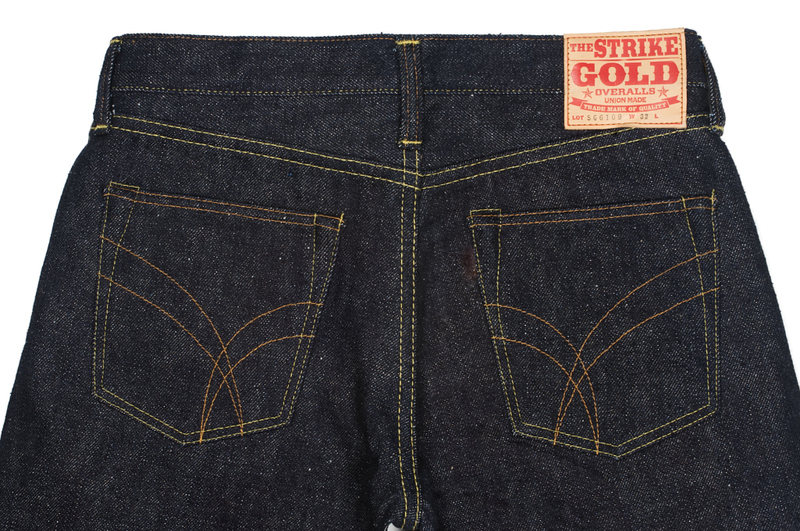 The SG 6109 jean is a slim leg fit that's got a medium rise and is slim from the top and tapers below the knee. 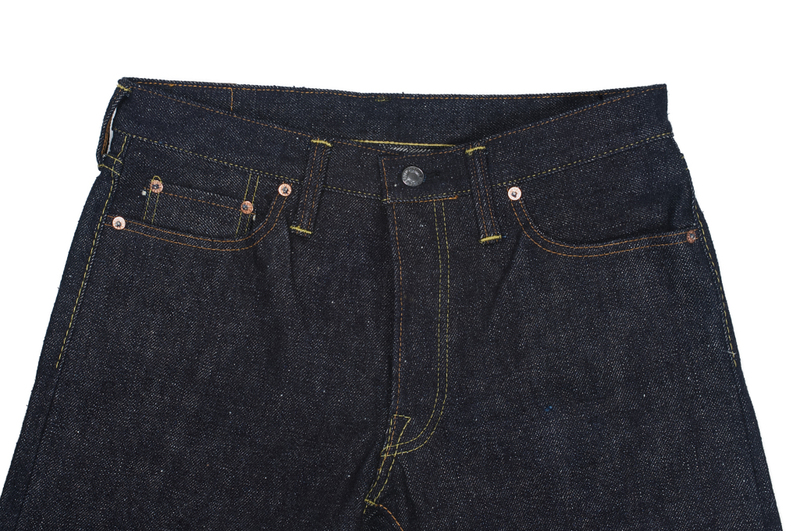 The jean has a burly feel to it at first due to the rigid denim that comes in it's loomstate form, after a warm water soak the denim opens up a bit and begins to soften with wear. 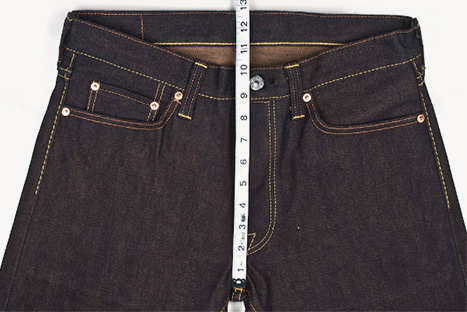 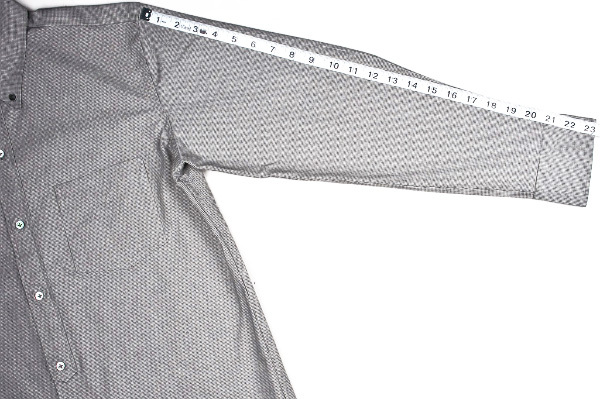 Waist 30" 31" 32" 33.2" 33.9" 35" 36.5" 38.8"
Inseam 37.3" 37.3" 37.25" 37.3" 37.3" 37.3" 37.3" 37.3"
Thigh 11.2" 11.5" 11.7" 11.9" 12.2" 12.3" 12.7" 13.3"
Knee 7.2" 7.5" 7.6" 7.8" 8.2" 8.3" 8.4" 8.6"
Leg Opening 7.1" 7.3" 7.4" 7.5" 7.8" 8" 8" 8.4"
Front Rise 10.2" 10.4" 10.6" 10.6" 10.75" 10.8" 10.9" 11"
Back Rise 14" 14.1" 14.3" 14.4" 14.7" 14.7" 15" 15.2"